Yesterday we read and talked about the first two chapters of Jonah, so we will finish this short four-chapter book today. Chapter 1 – Jonah makes the sea sick. Chapter 2 – Jonah makes the whale sick. Chapter 3 – Jonah makes the Ninevites sick. Chapter 4 – Jonah makes God sick! The theme of our series through Jonah has been to talk about repentance. The prophet repented of his disobedience in running from God, and in chapter three we encounter the surprising result of the repentance of the heathen city of Nineveh. 3:1 Then the word of the Lord came to Jonah a second time: 2 “Go to the great city of Nineveh and proclaim to it the message I give you.” 3 Jonah obeyed the word of the Lord and went to Nineveh. 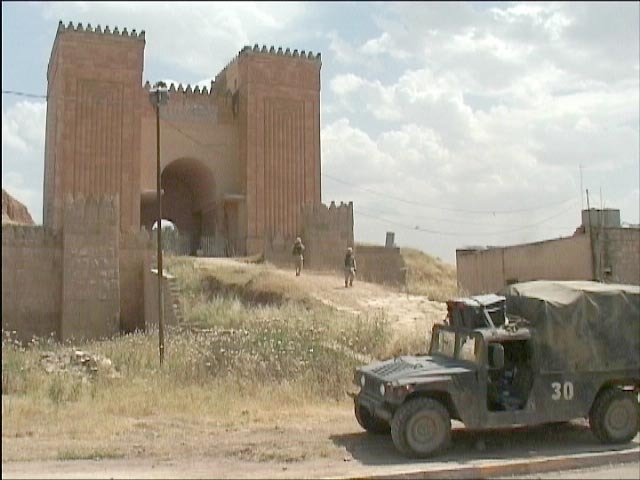 Now Nineveh was a very large city; it took three days to go through it. So why would the Ninevites believe and repent? Well, there is the work of God involved in this, of course. Beyond that, we know from history that there were two large earthquakes in years just before Jonah’s arrival; and we know from science that there was a solar eclipse on a specific date at this same general time. Ancient people saw such events as divine omens. So, in a different sense, God repented – changed from one disposition to another. We know from history that this revival must not have had lasting effect for successive generations. It would only be about 37 years later that the Assyrians would indeed conquer the Northern Kingdom. Their attempt to capture the Southern Kingdom of Judah was unsuccessful due to the intervention of God destroying 185,000 of the Assyrian army. The prophet Nahum – our readings for Thursday and Friday of this week – spoke a prediction of judgment against them because of their wickedness. 4:1 But to Jonah this seemed very wrong, and he became angry. 2 He prayed to the Lord, “Isn’t this what I said, Lord, when I was still at home? That is what I tried to forestall by fleeing to Tarshish. I knew that you are a gracious and compassionate God, slow to anger and abounding in love, a God who relents from sending calamity. Have you ever prayed to God like Jonah did here? I have – as I’ve several times shared with you the story of my anger at God earlier in my life, when, living in Texas and training for ministry, I did not receive a ministry position in a church that sure looked like a no-brainer at the time … and it still does. I should have gotten the position by all measurements … but God came along a few months later with a far better opportunity that has impacted my entire life since then. Jonah is a guy you’d want on your Bible trivia team… he gets all the right answers. Verse 2 is a perfect definition of the revealed character of God. Jonah knows the truth, he just hated God’s application of it in the real world. So Jonah finds a high spot that overlooks the city, and he there sets up shop to see what is going to happen – hopefully that God will destroy the place! Along the way in this place of a dry dessert climate, God caused a large leafy plant to grow and provide shade, but also a worm to eat this overgrown vegetable. Jonah’s joy for his creature comfort far exceeded his joy for seeing people repent and turn from evil. The juxtaposition of Jonah’s attitude about a silly plant with God’s perspective on many thousands of people stands as a stark contrast with its own lessons (that we’ll talk about tomorrow). 5. God often does things in his sovereign wisdom that we do not understand and that do not make sense to us, but his desire for repentance / blessing is greater than his desire to judge. I cannot tell you why God does what He does, nor can I explain why He does not do others things a whole lot faster! But I can tell you that God is more interested in our obedience than our accomplishments. God allows things to happen to us, so that things will happen in us, that things may happen through us; and when you get that 3-point thing understood and accept it in faith – you’ve really accomplished something! 6. Though repentance for salvation is a once and done thing, repentance in the life of discipleship needs regular vigilance. We talk about repentance in the issue of our salvation, and that repentance and change is a once-and-for-all life-changing directional shift where we move from the Kingdom of Darkness to the Kingdom of Light. But in our present human condition on this side of Glory, we will have failings that require us to be vigilant about making matters right with God by turning from sin, and trusting in Him. 7. Our constant need is a view of the sovereign work of God, that we may be blessed by being in alignment and agreement with it. We constantly need to be looking to see what God is doing around us … in our homes and families, through our work, and together here through our church … that we may align with it. In the midst of routine faithfulness and service, we may not always see God’s plan – which may not at times look like much – but we persevere, and in the end are able to look back at His good work. Summary – So what is repentance? It is a change in us where we agree with God about sin (we call this confession) and then we turn from it in repentance and go in the other direction – not like Jonah away from God, but rather away from sin and toward truth. We are all generally familiar with the story of Jonah the Prophet, who was called of God to go to Nineveh and preach God’s truth there. Instead, he went in the opposite direction toward Tarshish (Spain) and ended up creating a bellyache for the whale. Eventually, he got to the correct destination and completed his assignment, though with more than a wee bit of a grudging attitude. The book of Jonah is filled with the concept of “repentance.” And we asked in the sermon yesterday, “What does it mean to repent?” While certainly a biblical word, repentance often concurs up in our modern minds some wide-eyed, hair-disheveled, twang-tongued, sweating, Bible-pounding evangelist yelling “REPENT, or burn in hell!” Is it about fear? Is it about emotion? When disciplining children, we want to get them to a point where they turn away from whatever attitude of rebellion that led to an altercation needing correction; and we want to see them genuinely break and understand what they did wrong, and therefore desire to not do that deed again and now behave in a proper way. And that is essentially what it means to repent. More on that in a moment (actually tomorrow), but let’s go to the story of Jonah. Jonah was one of the earlier prophets, being a contemporary of Amos and Hosea – whom we have recently studied. Though these two were prophetic voices to the nation of Israel, Jonah was called by God to speak to the big, bad boys on the block in the ancient world at that time – the Assyrians. These were bad, bad people. They were brutal to captured foes in particular – known to impale people on a pole – making a human popsicle of them. The Assyrians were the enemy of Israel, and though they would later be used by God to punish Israel, their power to do so had not yet reached sufficient strength. It was not as if Israel had her own act together as a nation – recall the messages of Hosea and Amos. Though this was the peak of their territorial expansion and material success under the reign of Jereboam II, there was nothing that really set them much apart from the heathen nations around them in terms of the true worship of God rather than idols and materialism. So for Jonah to be called of God to go preach to these people seemed extraordinarily odd to him. Who would want to go to the center of such a place and tell them they were in trouble with God? If they did not like the message, they could make a popsicle out of Jonah. And if they repented, that would not be good for Israel. To Jonah, the whole thing looked like a lose/lose. 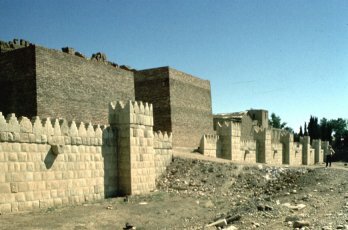 Nineveh was a huge city by ancient standards. It was seven times larger than the old city of Jerusalem for example. From Israel it was about 500 miles to the northeast – in modern Iraq near the border with Turkey … in fact, it is the modern city of Mosul, which we heard much about in the Iraq War. Jonah essentially went in the opposite direction – catching presumably a Phoenician boat sailing to the coast of Spain to Tarshish – about 3,000 miles in the wrong direction! It is interesting to see that these pagan, idolatrous men had more compassion for Jonah than God’s prophet had for them or the Ninevites. This whole story is filled with counter-intuitive elements. But Jonah’s sin had caused the sea to get sick, so reluctantly they tossed him overboard. 1:17 Now the Lord provided a huge fish to swallow Jonah, and Jonah was in the belly of the fish three days and three nights. 2:1 From inside the fish Jonah prayed to the Lord his God. 2 He said: “In my distress I called to the Lord, and he answered me. From deep in the realm of the dead I called for help, and you listened to my cry. So Jonah has a personal revival in the belly of the whale (or whatever large fish it was). There have been accounts of whalers who have been swallowed by whales and survived the ordeal, but without doubt, this was a God-ordained intervention, as are many other elements of the story. We don’t need to have natural explanations. So, chapter 2, Jonah made the whale sick, but the fish did his job, presumably depositing Jonah again on the eastern Mediterranean coast where he could resume his trip to Nineveh, now in obedience to God, even if grudgingly done. 1. Obeying and serving God may often go against our natural sensibilities and desires… and we may foolishly just go the other way. We may not personally like the paths that God chooses for us. We may resent his calling and want to do what we would rather do. There is no shortage of people who can testify from their lives how for so long they resisted what God wanted them to do, until finally finding peace and satisfaction by doing what he directed and desired. 2. We may often find ourselves in denial or justification of our desires over obeying God’s call… and just sleep through reality. Again, there is no shortage of stories of people who knew God wanted them to do something, but they fought it and denied it and went their own way. Is there something – large or small – that you know God has put in your heart to do … but you are fighting this thought / idea / feeling / open door out of fear or resistance? 3. You can know all the right answers, but still not be in obedience to God. This is a real warning for those of us who like the academic side of things … believing that all is right because we are thinking the correct things theologically… Jonah knew all the right answers for the seaman who questioned him. 4. God may chose to bring an unpleasant experience into our lives to get us back on track with following him. Unpleasant experiences are not always God getting our attention. Bad things happen because we simply live in an imperfect world. But there are times when in light of God’s work in your life and what the Spirit is telling you through the Word, that God intervenes to get you turned to a new and proper direction. Check back tomorrow to finish Jonah and to gain some final, additional thoughts on repentance.